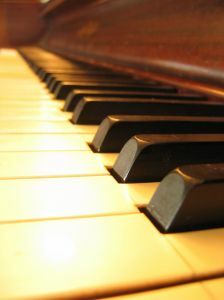 Expert Piano Tuning, Repairs, and Restoration. 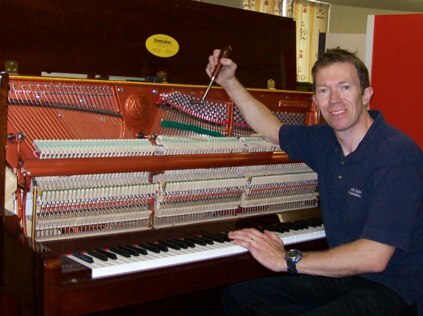 I am a piano tuner/restorer offering a full tuning and repair service for all upright and grand pianos. I started as an apprentice to a local piano maker in Otley and have worked for many years as a piano technician to the retail piano trade. I tune hundreds of pianos every year for private customers, as well as for piano teachers, concerts, places of worship, schools, theatres, and recording studios. Notable clients include: the BBC, City Varieties Music Hall, Yorkshire Television, West Yorkshire Playhouse, and The Leeds International Piano Competition. The majority of my customers have their piano tuned every 6 or 12 months, and I operate an efficient reminder service for those who wish to be contacted after a set time has elapsed. Many minor repairs can be done on-site; for more extensive work, I have my own workshop and offer a comprehensive restoration service covering major overhauls, reconditioning, and re-polishing. Other services include: restringing, action reconditioning, replacing chipped keys, fitting castors, regulation work, piano inspections and a lot more besides. 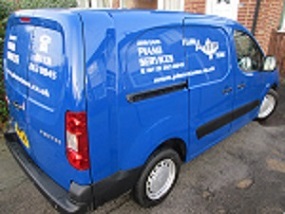 All work can be tailored to your individual requirements and budget. 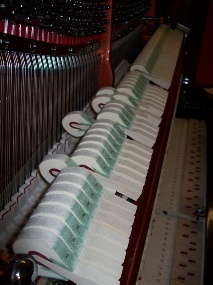 Please call for a professional, reliable service, or simply for help and advice on any aspect of piano care. Leeds (Aberford, Adel, Alwoodley, Bardsey, Barwick, Beeston, Bramhope, Bramley, Boston Spa, Calverley, Chapel Allerton, Collingham, Cookridge, Crossgates, East Keswick, Farnley, Garforth, Gildersome, Guiseley, Halton, Harewood, Headingley, Horsforth, Hyde Park, Kirkstall, Meanwood, Menston, Morley, Moortown, Oakwood, Otley, Pudsey, Rawdon, Rodley, Rothwell, Roundhay, Seacroft, Scholes, Shadwell, Stanningley, Thorner, Tinshill, Weetwood, Whitkirk, Woodhouse, Wortley, Yeadon). Also includes Bradford (East) (Applerley Bridge, Baildon, Eccleshill, Greengates, Idle, Odsal, Thornbury, Tong, Undercliffe).